Psalm 19 is likely one of David's first psalms- conceived while still shepherding sheep under the starry host of a Palestinian night sky. In the psalm, he goes from wonder and awe (vv.1-2), to the realization that God can be known by anyone across time and borders (vv.3-4), to drawing a specific connection between the nature of created thing and the nature of its Creator (vv.4c-6). David's example is looking up to the sun, it always shows up (v.5) and through its heat helps all upon whom it shines (v.6). His love for God is increased by intentionally making the connection between the sun and the God he worships. Indeed, "the heavens declare the glory of God" (Ps 19:1). What if we were to look down instead of up? We would discover more reasons to adore and worship the Creator. Here in Cayman we are surrounded by crystal clear seas which "proclaim his handiwork" in abundance and with skillful intricacy. You can look down into the depths also. 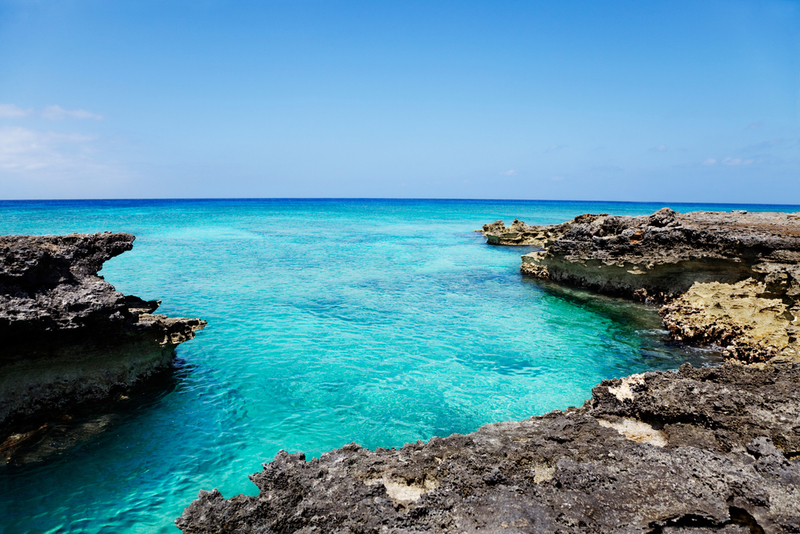 Just off the southern side of Grand Cayman you can locate the Barlett Deep which plummets 18,000 feet and contains creatures yet undiscovered. I read an interview last week with Jesus-follower and NASA oceanographer, Jorge Vasquez. Since 1984 he's worked for a group that studies climate change and how it affects local regions like California's coast. The full interview is here. What fascinated me is the following little nugget that connects creation to Creator in a way that further displays the character of our God - in particular, His patience toward sinners. My colleague Josh [Willis] once said to me, "You know, Jorge, God designed his creation in more ways than one [to account] for our sins." The point that Josh was making was that God designed this planet in light of our sins, including the sin of not taking care of it the way we should. I won't go into all the scientific issues, but the fact that our planet is more ocean than land is a very positive thing in terms of stabilizing the climate. If it were the other way around—more land than ocean—then even right now the planet would be way too hot, and the impacts of global warming would be a lot worse than what we've seen. The fact that this planet is mostly oceans gives us a lot more time to solve this issue of global warming. The oceans are the key. There has to be a Creator behind this because he understood how much we would mess things up in the Fall. The way God designed this planet is a revelation of who he is, his character—it is another example of his grace. Every time I look at the complexity and beauty of the universe, I think, You can't create the kind of complexity we have without a creative force behind it. You just see a design behind everything. And everything I'm doing now, in terms of addressing global warming, makes me hopeful, because I think God has designed this planet knowing all our sins from the very beginning, and he's giving us more time to get our act together. "The Lord is not slow to fulfill his promise, as some call slowness, but is patient toward you, not wishing that any should perish, but that all should reach repentance" (II Peter 3:9). His creation, the very oceans, mirror His patience toward us. What connection can you make today between something wonderful in creation and the Creator who fashioned it? Its a wonderful post and a fabulous idea included in it.I just surprised upon your blog and wanted to say that I have really enjoyed reading your blog posts.Its a good post happy for sharing this with us.Most of the writing resources are giving the guidelines and suggestion about the essay writing.Custom essay writing service is eager to facilitate the educational process everyone.